Albert Whitman & Company, 9780807503799, 32pp. 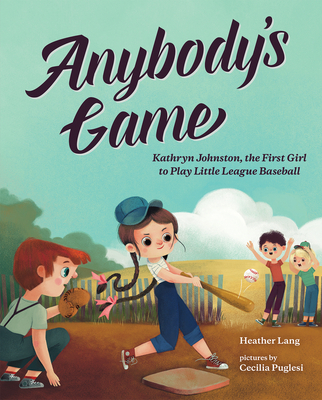 In 1950, Kathryn Johnston wanted to play Little League, but an unwritten rule kept girls from trying out. So she cut off her hair and tried out as a boy under the nickname "Tubby." She made the team—and changed Little League Baseball forever. An inspiring and suspenseful story about what it means to want something so badly you'll break the rules to do it—and how breaking the rules can lead to change.